Big Surf Island - A Stunt Runner's Paradise! 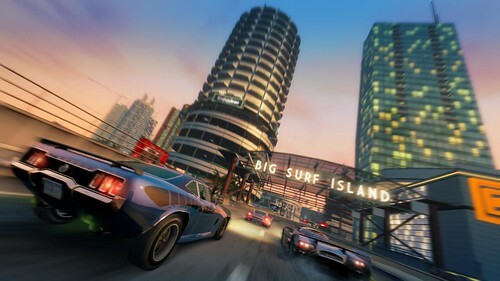 For the first time since May 2008 Criterion Games has released new information, screens and video of Big Surf Island. Read more about Big Surf Island - A Stunt Runner's Paradise! WOW!! OK so the first of the four new packs to be announced is Paradise Party. A new party mode where up to 8 players can take turns on the same console. This is a new game mode for when you have your mates around, it's a pass the controller party game. You can select 3 different types of challenge, Stunt, Speed or Skill. Read more about Paradise Party Pack! Criterion Games re-vamped web page includes information about 4 new DLC packs due for release in Spring Next year. These packs will be announced weekly from the 31st of October through to the 21st of November. Keep checking back here and at CriterionGames.com for all the details. We have been in touch with Weil3r that originally wrote some brilliant guides for Burnout 3: Takedown that was published at burnoutelite.com. Since that site is no longer active we asked Weil3r if we could re-publish them here on BurnoutAholics.com. Criterion Games have made some exciting announcements over at the Playstation Blog detailing some of the changes that the day/night cycle will have to Paradise City. We will get to choose how long the day/night cycle lasts. If you want to zoom through a day you can choose 24 minutes, or if you prefer there is the option to do a real time 24 hour day, and anywhere in between. On Friday the 22nd of August Criterion Games put up a story on their webpage detailing how Bikes will fit into Burnout Paradise. The Bike Pack will now be a FREE addition to the game, bringing 10 hours of additional gameplay in 70 freeburn challenges, half of which are timed challenges, 38 Burning Routes for Bikes or "Burnout Rides" and 64 new speed Bike Road Rules to beat. 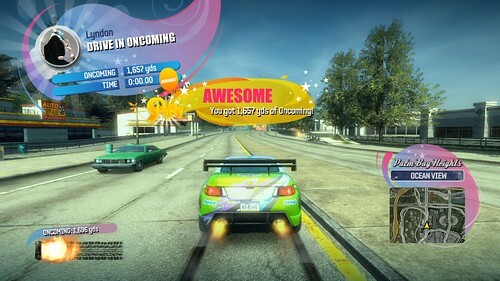 The Cagney update for Burnout Paradise on XBOX 360 is now available. Sign in to XBOX Live and load up the game. You will first be asked to update the game. When the update has been applied and the game has loaded you will be asked to download another update. This update is 381.01 MB and includes all the new goodies we all have been waiting for.